Lechal Footwear provides haptic feedback under your heel to point you in the right direction and could just be the ticket for the visually impaired to navigate on their own. Connected to an app via Bluetooth, the Lechel shoes feature smart insoles enabled with GPS tracking. Tell your phone where you want to go and the shoes vibrate to tell you in which direction o move. As a bonus, the shoes do more than navigate for the blind, and even people without visual impairment can enjoy their calorie and fitness tracking options as well. Lechal Footwear was developed by Indian wearables firm, Ducere Tech, whose goal was to create a smart shoe to help the visually impaired navigate on their on. Most navigation technologies rely on audio cues to direct people where to go, but since the visually impaired rely so much on their sense of hearing to remain aware, a voice talking in their ear could be distracting. Haptic feedback is a better solution to provide directional cues and Lechal shoes provide vibration nudges in the insole to point the way. Customers can select buy a pair of shoes or just buy the inserts to fit in their own shoes. The insoles are outfitted with the GPS device and pair up via Bluetooth to your smart phone app. The simple app designed specifically for the visually impaired can be used by only pressing two buttons on an iPhone rather than needing to see a visual screen. After telling the app your destination, it will begin directing you with vibrations. Those who are not visually impaired may also enjoy the shoes, insoles and the app as well. Lechal Footwear is also designed to monitor fitness, track calories, help you identify points of interest and alert you if you left your phone behind. 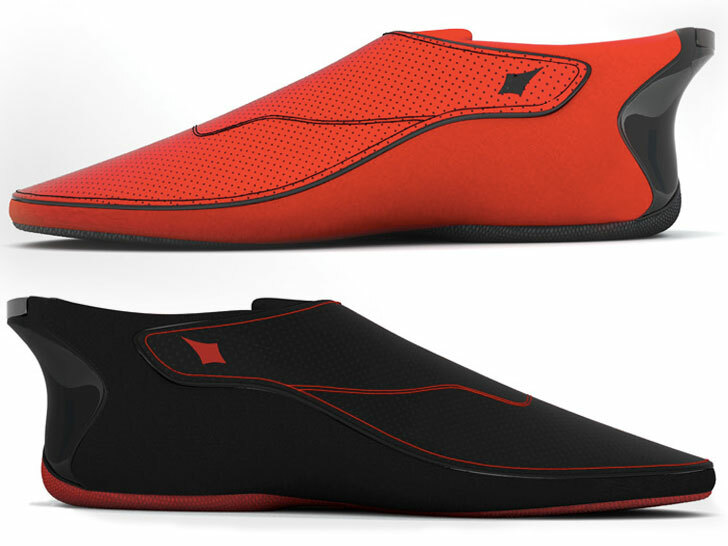 The shoes cost $150 and come in red or black and the insoles cost $100 are fully antibacterial, rechargable, and replaceable when they finally wear out.